Kiki overhears Michael asking Sabrina to be Avery&apos;s nanny and objects loudly. Kiki accuses Sabrina of nearly killing Avery. Michael points out Kiki&apos;s hypocrisy and reminds her that she had no problem with Ava, Sonny or Franco, who are all killers. Kiki storms out and Sabrina decides she can&apos;t accept the job. Spinelli mistakes Jake for Jason and grabs him into a hug. Everyone explains that he isn&apos;t Jason and Spin apologizes for his mistake. Later, he questions Carly about the resemblance. Carly reminds him that Jason is dead and not coming back. Silas tells Ava that they could test Avery to see if she&apos;s a donor match. Ava adamantly refuses to put her daughter through that. Ava&apos;s worried about Avery and thinks Silas could raise her himself. Ava wants Silas to team up with Julian and Kiki. She thinks they would counter the Quartermaine&apos;s money and power. Ava declares that she wants Avery to remain a Jerome. Shawn believes Anna had inside knowledge and accuses Jordan of working for the cops. Jordan does her best to convince him otherwise but doesn&apos;t completely succeed. Jordan meets with Anna and says her cover may be blown. She wants out before she&apos;s killed. Anna reminds her that no one has gotten as far into the organization and that getting out now may be worse. Sonny assures Duke that he&apos;ll get his daughter back, no matter what, but needs to present himself as an upstanding citizen. He asks Duke to continue to run things for now. Duke says they need to neutralize Julian and mentions Anna showing up. Duke believes someone tipped off Anna. Sonny wonders who the traitor is. Shawn says it might be Jordan, but claims he only has suspicions and no proof. Sonny and Duke worry that Jordan knows too much. Julian&apos;s angry that the truce is over and wants to hit back. Carlos suggests killing Duke which would cripple Sonny. Kiki arrives, telling Julian that they need to fight for custody of Avery because she&apos;s not safe with Michael and Sabrina. Julian agrees to consider it. Jake asks Sam to put in a good word with Julian. Sam points out that Julian is a criminal, but Jake wants a job on the legitimate side of the business. Sam agrees to put in a good word. Liz is not happy to hear this, but Carly tells her that they need to support Jake&apos;s decision. Michael tries to convince Sabrina to take the job. He says he wants AJ to be free of the violence. Sabrina agrees. 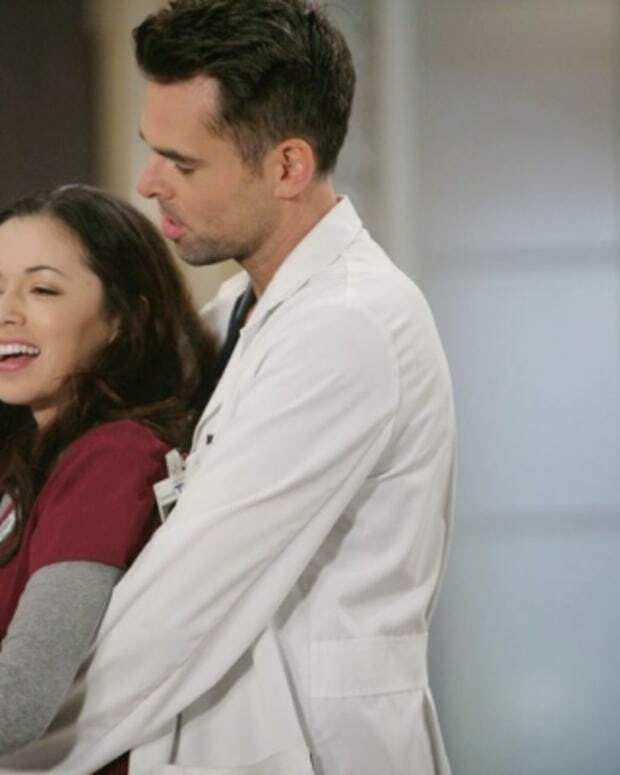 Perkie's Observations: Will Robin Stop Patrick From Marrying Sabrina on General Hospital?